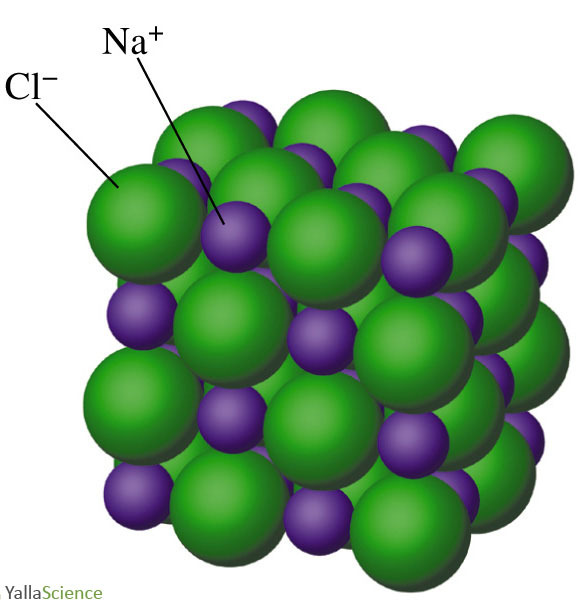 The compound sodium chloride consists of Na+and Cl- ions held together by electrostatic forces of attraction in a very large ordered network called a crystal. The hypothetical combination of the one Na+ and one Cl- ion indicated is a formula unit. It is the smallest collection of ions from which we can deduce the formula NaCl.